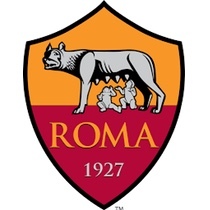 Roma Football Accessories In Stock for Orders Now! Welcome to the Roma Football Accessories shop at Soccer Box. You can now show off your support any day of the week for this Italian club by purchasing any of the official AS Roma souvenirs located below. You are guaranteed to find the ideal present for any fan of this Italian soccer team right here. Update your everyday essentials with these accessories adorned with your beloved team’s crest on the front. Suitable for both children and adults, these balls, hats and bags are sure to put a smile on anyone’s face. Shop the Official Nike AS Roma Merchandise While Stocks Last! Here at Soccer Box we strive to ensure that our customers are receiving high quality AS Roma football accessories. And to do so, we only stock official products which have been shipped to us directly from the manufacturer – Nike. Therefore to put your mind at ease, when shopping with us, you can be 100% certain that you are receiving an authentic item of Roma merchandise for you or a close one. Practice your football skills while showing off your support for your favourite Serie A soccer team by purchasing the official ball adorned with the team’s crest on the front and design using their core colours today. Stay warm in the colder weather conditions outside by wearing the latest Roma beanies which has been manufactured with a one size fits most design. Made to fit a wide range of supporters, do not be caught out without a hat to keep your head warm this winter. Carry your essentials to school or to the training ground in the gym bag styled using the clubs signature colours. Ideal for fans of all ages, this gym sack is guaranteed to be a best seller for soccer fanatics of all ages. Due to their versatile colour scheme, these AS Roma football accessories could be worn or used alongside any of the Roma sportswear ranges. Therefore take a look at our Roma Shirts, Jersey, Shorts, Socks and Kits before you checkout. Complete your order over the phone or by using our secure online payment system now for these AS Roma souvenirs. Also make sure you keep your eyes peeled for available discount codes and reductions on previous season’s stock and grab yourself a bargain today. With a vast range of rapid worldwide delivery options, you are sure to find the one to suit you!